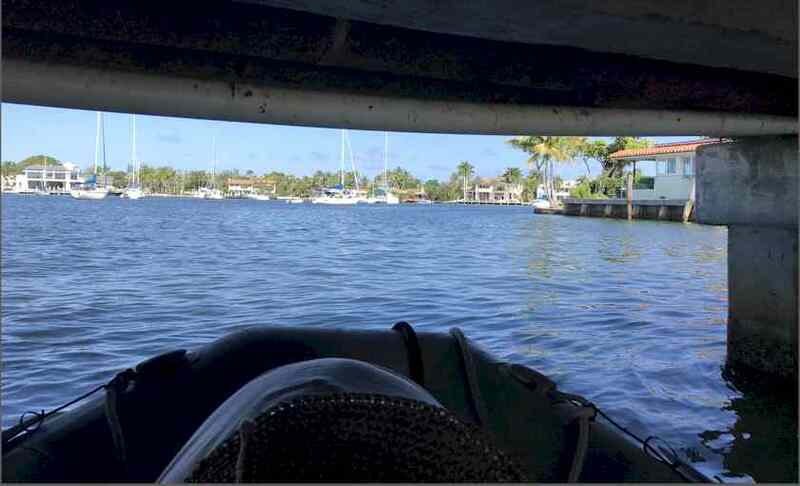 Lake Sylvia, in Ft. Lauderdale is just off the ICW. There isn’t a dinghy landing spot- so you need to go elsewhere to go ashore. The most direct route is to go under West Lake Drive, which has bridges with very low clearances. 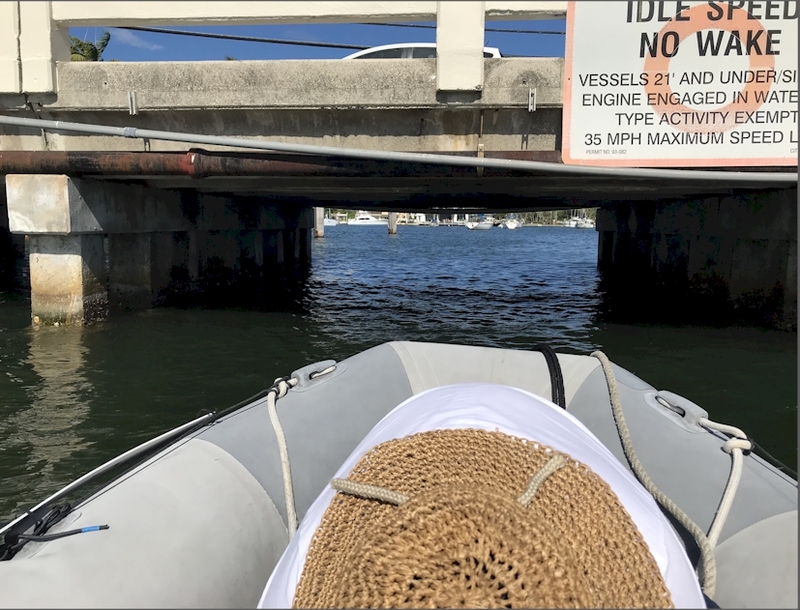 At high tide there is just enough room for a dinghy trip under the concrete spans. We’re talking get on your knees and crouch down to keep from bumping your head! By doing so, you are just minutes from Lauderdale Marina and Southport Raw Bar locations. This is the view sequence upon a return to our catamaran YachtaFun. Diann has doubled over to duck low. 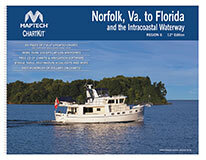 Lake Sylvia boats can be seen as you begin to exit the bridge span. 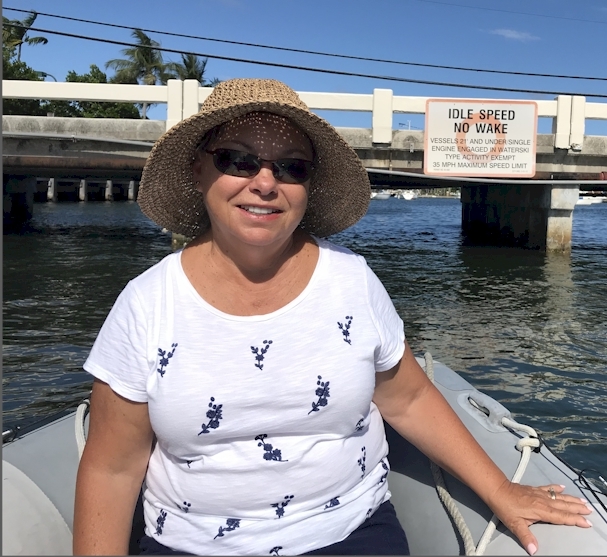 The story / blog of senior citizens, Alex and Diann, on board Yacht A Fun, their Gemini catamaran sailboat. 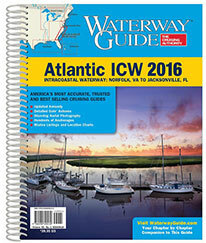 They are traveling the ICW and east coast with insights to the extended cruising life. They offer the book “Your Boat as a Business” at www.Amazon.com/dp/1720656452 This post is about Lake Sylvia West Lake Drive bridge clearance.